Bnei Chayil starts with boys in the seventh grade and slowly helps them build the coping mechanisms they need. Founded by psychologist Stuart Chesner, the school provides both the warm support and the limits these students need. A fifteen-minute walk through the halls was enough to teach me a great deal about how to help distractible, hyperactive students. Dr. Ben Chaim’s body language and tone constantly communicates his interest in and concern for the boys asking him about a huge range of issues. Meanwhile, he also helps them structure themselves. He straightens one boy’s kippa, talks about another student’s progress in English class, and advises a third on running the school store. Every day begins with an hour of prayer in the prayer hall, as do many “national religious” schools in Israel, but at Bnei Chayil they sing, break the prayers down into smaller portions, and generally help their students stay plugged into the service. 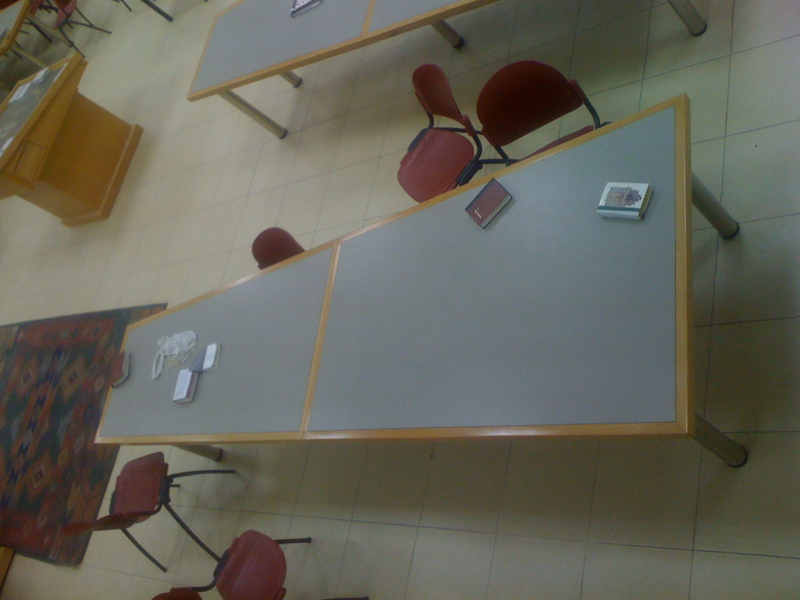 Studying in pairs, a classic Jewish technique, is harder for these students. But by the year after graduating, many are able both to function well in the army and succeed in a final standardized exam. Speaking to one of the religion teachers, a man who practically jumped out of his chair to make his points, I believed him when he said, “It is not required to have ADHD as a teacher here, but it helps!” He noted that both King David and Esau, brother of Jacob, have symptoms of the condition. He described in detail both the challenges and the benefits of teaching Bible, Talmud and Jewish Thought to this population. Bnei Chayil’s neighborhood is on land annexed by Israel after 1967, and is right next to a Palestinian village. I suspect I have many differences with the majority of the school community. I am grateful to them, however, for welcoming me in and giving me insight into the techniques they are using to help these wonderful, wild ADHD students develop all the skills they need for their lives.